Josh Brown, left, and David Reese. 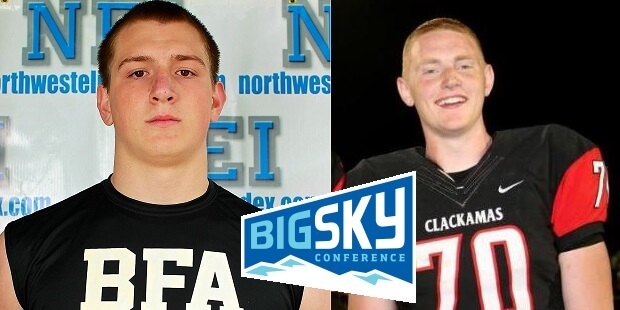 Two of the regions top athletes made their decision known this past week as Oregon’s top ranked Offensive Lineman David Reese (6-7 270 Sr. T) of Clackamas, and dual threat talent Josh Brown (6-6 250 Sr. TE/DE/OL) of Sunset committed to Big Sky Schools. 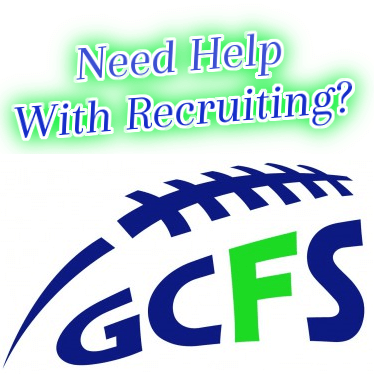 Reese was courted by D1AA national power Montana and found it to be what he was looking for saying,”Everything just felt right when I went on my visit this last weekend, the atmosphere there was so unique and I loved it.” David was the #1 ranked lineman on our board, coming from a very athletic family with his sister Jen being an Oregon Player of the Year in girls hoops, now at Colorado. Reese is just one of a couple D1 type kids on the Clackamas roster which include the likes of TE/DE Brody Haehlen (6-4 250 Sr.). The Cavs sit at (7-2) and are one of the better teams in school history. We will keep you updated as things progress. Another kid that made a big splash this off season was the talented big man out of Beaverton Josh Brown. The 6-6 two way threat can play three or four different positions ,and was a 1st team all league DE and 3rd team all conference TE as a Junior. Josh has been a huge factor as his Apollos sit at (7-2) and are one of the better teams at the 6A level. He is a viable Defensive Player of the Year candidate within the Conference and an outstanding kid, to boot. Brown never missed a workout during the off season, and was a prime fixture at our elite events impressing as much as any athlete during the off months. We wish Josh continued success and will look forward to watching him play in the 503.